Michael Anthony are delighted to present this three/four bedroom property situated within the popular area of Neath Hill, entrance to the property is into the entrance hall, giving access to the first floor accommodation refitted guest cloakroom and 12ft x 11ft kitchen/diner which is complemented with a range of eye and base level units and double glazed windows and door to the rear aspect. 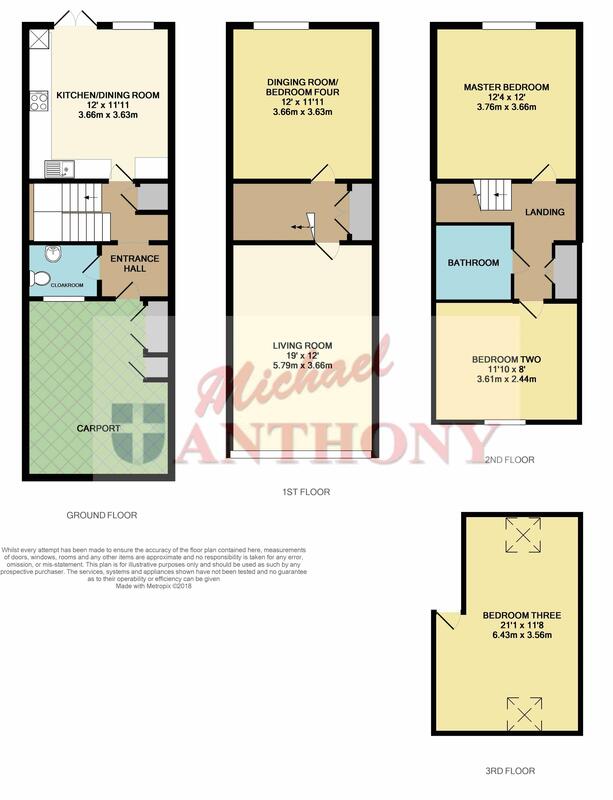 The first floor accommodation offers a range of storage cupboards, here you will also find the 19ft x 12ft lounge with windows to the front aspect and dining room/bedroom four. The second floor also has a range of storage units, fitted family bathroom and both the master and second bedroom and a staircase leading to the loft room/bedroom three with ample space for various uses, the property is completed by parking for one vehicle and must be seen to be fully appreciated, Call now to arrange an appointment.